After topping the leader board with her captivating waltz on Saturday night's episode of Strictly Come Dancing, Daisy Lowe certainly has much to celebrate. 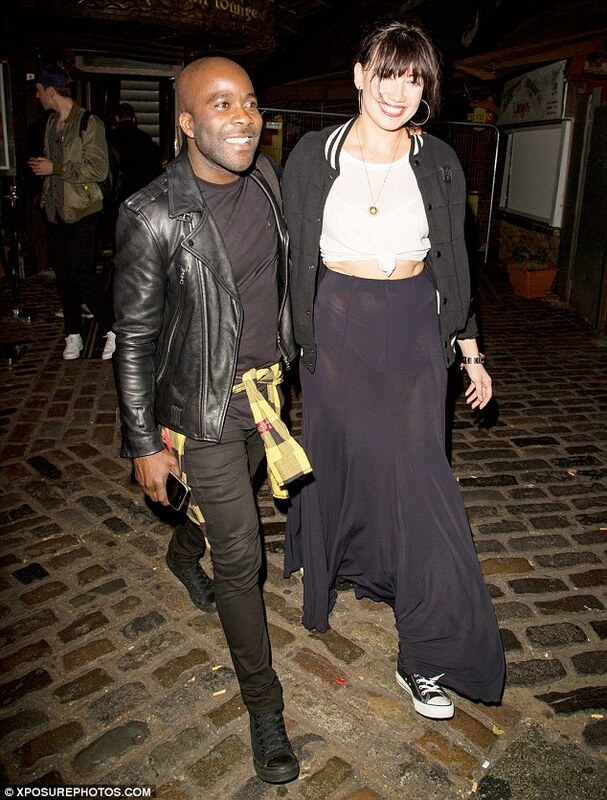 And the 27-year-old let it all hang out later that night, when she stepped out with pals - including fellow competitor Melvin Odoom - to party at London's Gilgamesh. The brunette model turned heads when she arrived at the Camden hotspot wearing a black sheer dress with tiny thongs - putting her entire pert posterior on display. As Daisy left at 1:30am, she seemed far from bothered about the attention she was attracting for her risqué ensemble, instead just raising a victorious hand in the air. The rest of her outfit was a tad more tame, as she opted to wear a white top, which was knotted above her midriff, under a letterman-style jacket with her first name emblazoned across the back. With gold hoop earrings and a statement necklace adding some sparkle to her get-up, she added a casual touch with a pair of low-rise Converse shoes. 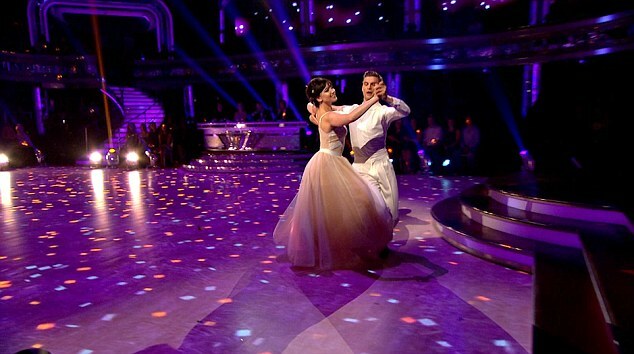 Daisy dazzled Strictly's judges with her near-flawless waltz to Sinatra's Unforgettable on Saturday night. Waltzing to the top of the leader board, Daisy scored a massive 32 out of 40 for her first dance - with notorious ballroom stickler Len giving her an impressive 9 out of 10. It was an emotional evening for Daisy after she lost her grandfather known as 'Fast Eddie', who cared for her during her GCSE years, on the first day of Strictly rehearsals and dedicated her waltz to him. 'It's made me quite teary today, I'm trying to get to grips that I can't give [grandfather] a hug,' she admitted. Despite their instant chemistry on the floor, Daisy has insisted she won't fall victim to the famous 'Strictly curse', and start a relationship with her pro partner Aljaz. 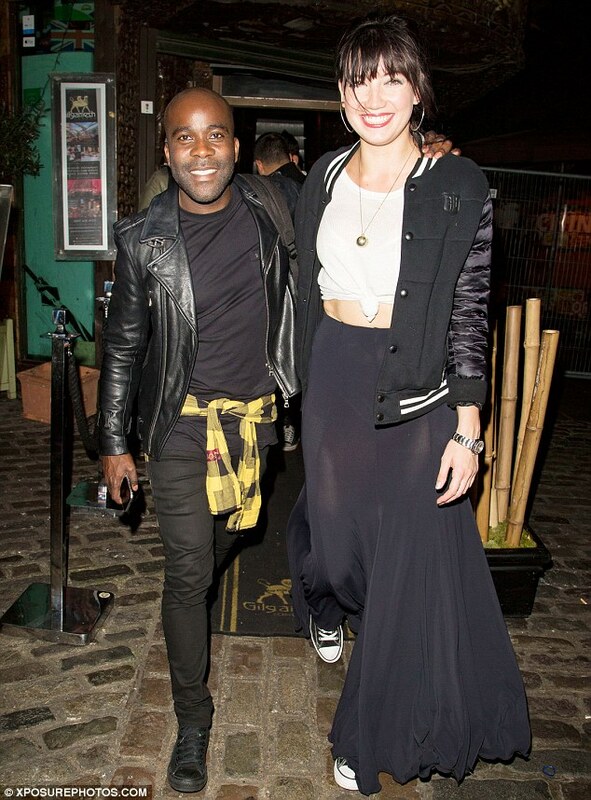 The fashion darling recently started dating male model and actor Bradley 'Frankie' Wade and is convinced she won't be swapping her new man for Slovenian hunk Aljaz. She shared: 'Frankie and I have been dating for just over a month, and it's going well. He's fit, really fit from the inside out. Although full of praise for her new dance partner, Daisy pointed out that Aljaz, 26, is madly in love with his fiancée, Strictly dancer Janette Manrara. She told The Sun on Sunday: 'I love Aljaz with all my heart, even after a month, because he is the most gorgeous, warm, kind-hearted human being. But it's totally platonic. 'He is like my brother. And he and Janette are so in love, they are gorgeous and engaged, and we all have so much fun together.